Combination of musicology and musicianship in this delightful disc. Handel's flexible (not to say cavalier) attitude to his works in performance, mixing and matching, cutting and pasting to suit the circumstances and the needs of the performers has encouraged modern day performers to follow suit. Of course, it does not help that modern concert-going habits make many of the works too long in their original forms. But much of the most rewarding Handel scholarship on disc has involved recapturing versions of Handel's works from specific moments or time periods. 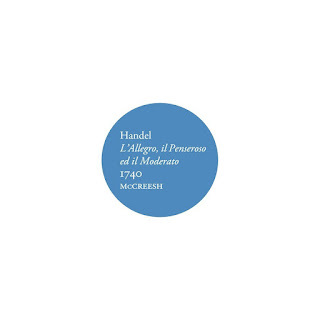 On this disc, on the Winged Lion label, Paul McCreesh and the Gabrieli Consort and Players take us back to 1740 and the premiere of Handel's L'Allegro, il Penseroso ed il Moderato. More than just the original version, we have the whole Handelian concert experience with parts one and two prefixed by concerto grossos from the Opus 6 set, and part three prefixed by one of the Opus 7 organ concertos. Paul McCreesh conducts the Gabrieli Consort and Players with soprano Gillian Webster, treble Laurence Kilsby, tenor Jeremy Ovenden, baritone Peter Harvey and bass Ashley Riches, with William Whitehead at the organ. Whilst the majority of the recording was made at Henry Wood Hall and St Silas the Martyr Kentish Town, in an imaginative gesture typical of Paul McCreesh the organ concerto and the chorus with organ ad lib which concludes part two of the oratorio were both recorded at St Paul's Church, Deptford where the 2004 William Drake organ reuses some of the original pipes to recreate an organ of 1745, thus giving us a chance to hear the concerto with the sort of organ sound Handel might have known. The remainder of the recording uses the 2001 Handel House Organ which lives at St George's Church Hanover Square. In the CD booklet Ruth Smith and Paul McCreesh speculate that one of the reasons Handel was attracted to Milton's poems was that the work would offer a satisfying resource for mixing and matching which is exactly what the composer's later performances did. Here we have the purity of the original scheme with parts one and two interleaving Milton's L'Allegro and Il Penseroso, and part three bringing on Charles Jennens Il Moderato. Soprano Gillian Webster sings il Penseroso whilst three men, treble Laurence Kilsby, tenor Jeremy Ovenden and baritone Peter Harvey share L'Allegro, rather like three ages of man. Bass Ashley Riches is il Moderato. The discs open with an intensely characterful account of Concerto Grosso Op.6, No. 1 in G major, and Concerto Grosso Op.6, No. 3 in E minor opens part two. Whilst both of these are very fine, the revelation is Organ Concerto Op.7, No. 1 in B flat major as here, for once, is an organ which combines the correct size with a vibrant character. William Whitehead makes full use of a whole variety of stops from the pungent to the quietly evocative. This is one of the concertos which Handel did not prepare for publication himself, so the ad lib sections are just that, requiring some creative imagination, all brilliantly supplied by Whitehead. A complete cycle of Handel organ concertos with this organ would seem highly desirable. But these three works are also scene setters for the main body of L'Allegro, il Penseroso ed il Moderato. Gillian Webster sings with beautiful liquid tone projecting Il Penseroso with great poise. Having such a beautifully spun line though comes at the price of a certain occlusion of the words. She is finely controlled even in the more technically complex passages and matches the Nightingale recorder in Sweet Bird to perfection. By contrast tenor Jeremy Ovenden's projection of the words is very fine indeed, and he combines this with mellifluous tone and a nice technical facility, including the laughing passages in Haste the nymph. Treble Laurence Kilsby is a minor miracle. Around 15 (or just under) when the recording was made, he brings warm flexible tone, a free top and a remarkable musical maturity to the treble solos. Bass Ashley Riches is equally characterful with a lovely swagger in Mirth admit me of thy crew accompanied by a fabulously pungent pair of horns. When Il Moderato finally appears in part three, it is not as a prosy bore but in the highly personable form of Peter Harvey, who makes the role feel lively and engaging. The chorus is on fine form form contributing to the highly fluid structure. In the final chorus of part one, Laurence Kilsby joins them and a carillon with confident delight in a movement where all concerned convey their joyous enjoyment. In the final chorus of part two we reap the benefit of the Deptford organ with the ad lib organ part. 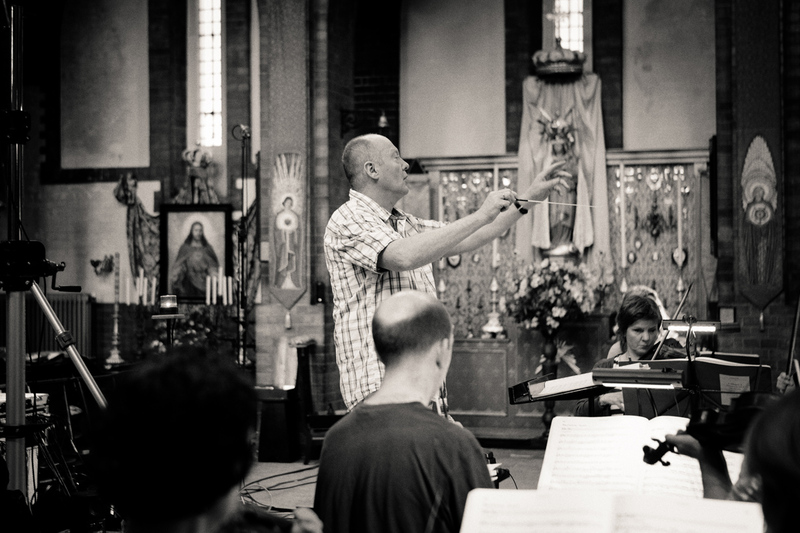 Throughout Paul McCreesh conducts with a light touch,, ensuring that all the music making is highly characterful, and that Handel's flexible structure with short items following each other pell mell, is transformed into a highly satisfying whole. The CD, in the familiar Winged Lion book style, includes extensive articles about the music and a full text. This is a triumphant combination of musicology and musicianship which conveys the sheer enjoyment felt in this score.